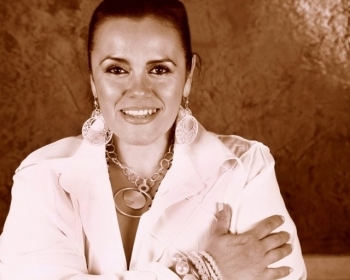 Andrea Olivera has been a Canadian revolutionary figure in the Ayurveda healing and spa industry. She has dedicated most of her life to develop and incorporate of Ayurveda, Yoga and eastern practices of wellness into the healing spa practices for the past 30 years. Her career began as a makeup artist and aesthetician to now being a leading figure as an Ayurveda beauty and wellness care specialist, creator of her own signature line of natural Ayurveda skincare line and botanical perfumes, the Ayurveda Spa Specialist certificate training program, and most recently a published author. Her lifelong study and practice of ancient wisdoms of healing continue to inspire her dedication to learning.